Zach Goldman, owner of 911 Restoration Fort Worth, wants homeowners to know that he is here for them when they are in need of a fresh start after experiencing a home-based flooding type of accident. On top of that he also believes that, “a fast response is always best way to react to water damage,” so the water damage Grand Prairie team at 911 Restoration Fort Worth is on standby and available 24/7/365, as to be able to get to you within 45-minutes. He aims to support and lead the members of his community when they are in need of a new beginning. If your home is already amid a flooding scenario from a pipe burst, water heater loss, or any other means, then don’t wait another minute to contact our water damage Grand Prairie team with 911 Restoration Fort Worth today! As said before, floods happen all too often in Texas, so we would like to educate our community about the truth when it comes to overcoming any weather difficulties that bring on flash floods. To start with, floodwater is considered a category 3 hazard, which means you should never venture into it because it carries a high amount of microbes and debris that can make you sick. The most important thing to consider during a storm is the safety of you and your family, so when it comes to a bout of water, that takes priority over property. Staying safe is as simple as keeping your eyes and ears open. Tune into radio broadcast and television, as to stay better aware of the potential for heavy rain and potential inundation. If the warning is issued then move your family to elevated space, where you can remain safe. Personal belongings, such as photographs or electronics, can be wrapped in plastic and stored somewhere like an upper shelf; however, these things are less important. Thus, they should be done not when a flood is about to occur, instead they should be done months in advance. After the water has waned and receded, call the water damage Grand Prairie team at 911 Restoration Fort Worth. We can safely remove water out and make your house pristine again. Zach believes that everyone deserves a second chance, and in order to bring that to you in the most professional manner possible we have undergone the certification processer offered by the Institute of Inspection, Cleaning, and Restoration Certification. 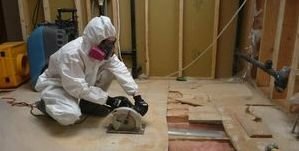 All our techs have a Water Restoration Training diploma, so that they know how to combine a blend of drying and sanitation techniques to bring you lasting peace of mind. See, water damage left untreated will allow microbes and mold to proliferate, which will cause nauseating headaches and unbearable odors. Fret not, as our technicians know exactly how to take care of these issues. For example, after a flood we arrive with hazmat suits, industrial grade wet vacuums, dryers, and blowers. Once we safely remove standing water out of the area, then we decontaminate it with caustic chemicals that leave your home looking and smelling fresh. Our drying equipment will leave no remnants of water damage, and no possibility for mold to grow. We will get you back on your feet in no time. If you are in need of expert water damage services, then call our water damage Grand Prairie team with 911 Restoration Fort Worth and we can get your property back to normal quickly today!